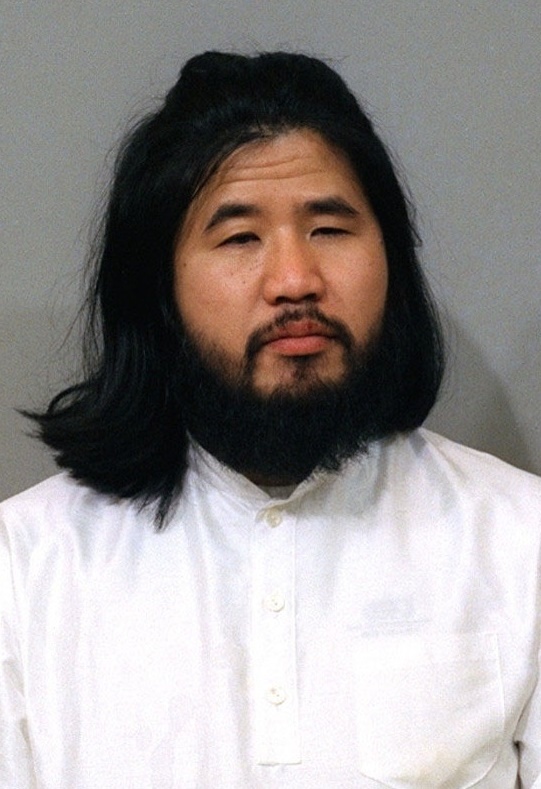 Shoko Asahara, founder of the doomsday cult Aum Shinrikyo and mastermind behind the deadly 1995 nerve gas attack in the Tokyo subway system — and a number of other horrific crimes in the 1980s and ’90s — was executed on Friday, Justice Minister Yoko Kamikawa confirmed. She also confirmed that six other condemned Aum members — Tomomasa Nakagawa, 55, Kiyohide Hayakawa, 68, Yoshihiro Inoue, 48, Masami Tsuchiya, 53, Seiichi Endo, 58, and Tomomitsu Niimi, 54 — were also executed. 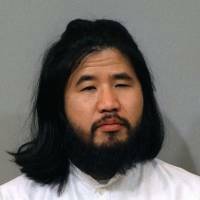 In total, Asahara, 63, whose real name was Chizuo Matsumoto, was found guilty for his role in 13 crimes that led to the deaths of 27 people, a figure that later was increased to 29. In the Tokyo subway attack, 13 people were killed and more than 6,000 injured. The hanging of Asahara has in some ways closed the curtain on the shocking crimes and dramatic events staged by Aum. But it also leaves several critical questions unanswered, because even during his trial, Asahara never explained the actual motivations for the crimes. 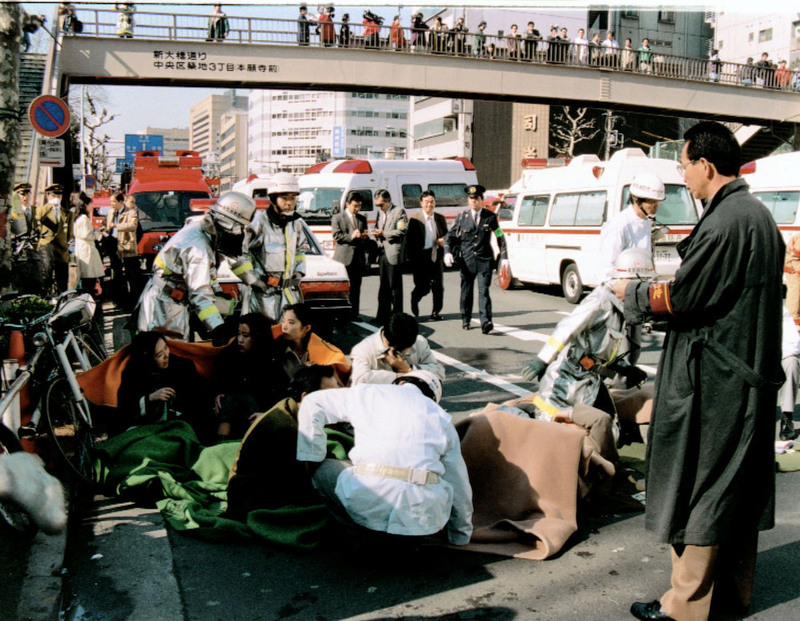 In particular, the 1995 sarin attack in Tokyo is remembered as a watershed event that deeply damaged a long-held sense of security felt by many in postwar Japan. Kamikawa deflected questions about the details of the executions, such as the reason for choosing the seven from among others also on death row or the timing. She said she couldn’t comment on “the decisions regarding individual cases” because her statements may “disturb the peace of mind” of those on death row. She cited “the pain and suffering of the victims and their families” and her belief that “the members’ death penalties were finalized after plenty of deliberation in court” as reasons for ordering the executions. Although Kamikawa declined to specify whether any of those who were executed were appealing their sentences, some media reports have said that at least Inoue had sought a retrial. Those seeking a retrial are usually not executed. After the executions were reported, residents near the prisons where the inmates had been detained expressed relief and renewed anger. “They deserve executions. Actually, I think they should have been hanged much earlier” an 84-year-old man said in front of the Tokyo Detention House in Katsushika Ward, where Asahara had been detained. A woman in Osaka, who was walking past the Osaka Detention House in the city’s Miyakojima Ward — where two of the executed inmates had been detained — expressed a voice of concern. “Now with the executions, I’m worried (Asahara’s) remaining followers could start doing something terrible,” she said. Authorities said they were on alert for any actions by followers of the cult’s splinter groups. The death penalty for the guru was first handed down by the Tokyo District Court in February 2004 and finalized by the Supreme Court in September 2006. The crimes he was convicted of also include the murders of lawyer Tsutsumi Sakamoto, his wife, and their 1-year-old son in November 1989, as well as another sarin gas attack in Matsumoto, Nagano Prefecture, in June 1994. That attack killed eight and left about 600 injured. 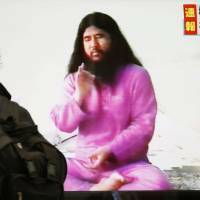 Asahara’s execution was delayed while the lengthy court proceedings involving other key Aum followers accused of being complicit in the crimes played out. The court saga concluded on Jan. 25 of this year. In addition to Asahara, 191 Aum members were indicted over a number of criminal acts — including murders, attempted murders, abductions and the production of deadly nerve gases and illegal automatic rifles. Twelve had their death penalty sentences finalized. Over the past 10 years, the guru reportedly turned down all requests from outside the prison for a meeting, even from family members. During the trials and interviews with his lawyers, Asahara often remained silent or uttered words that no one could clearly understand. The difficulty in communicating with him prompted his counsel to claim that he was not mentally competent to stand trial. In 2006, the Supreme Court, however, rejected a special appeal and finalized the death sentence. The court ruled that Asahara was legally sane and thus could be held responsible for his actions. Asahara, born in 1955 in what is now the city of Yatsushiro, Kumamoto Prefecture, formed the predecessor of Aum Shinrikyo in 1984. By around October 1988, the number of lay followers surged to between 3,000 and 4,000 and that of live-in followers was estimated at between 100 and 200. In that period, the cult had head offices in Tokyo and Kamikuishiki, a village in Yamanashi Prefecture. It also had branch offices in Osaka, Fukuoka, Nagoya, Sapporo, New York and Russia. In the vast compound in Kamikuishiki at the foot of Mount Fuji, Aum Shinrikyo, under the instruction of Asahara, built and operated a chemical plant to mass-produce sarin and another to assemble illegal automatic rifles. 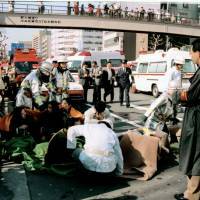 The doomsday cult successfully recruited a number of highly educated young people, including doctors and scientists, some of whom took part in the crimes — a fact that particularly shocked the Japanese public. Many Aum members were featured on live TV shows, openly defending the group. The media exposure helped solidify the group’s lasting impact on the public’s collective consciousness. Asahara claimed that Armageddon was inevitable and justified the murders of certain people by insisting they would send their souls to a heavenly world, according to court transcripts. During a hearing in June 2001, Nakagawa, a former doctor who played a key role in the cult’s production of sarin gas, begged his guru to explain what he was actually thinking when he instructed followers to commit illegal, violent acts. 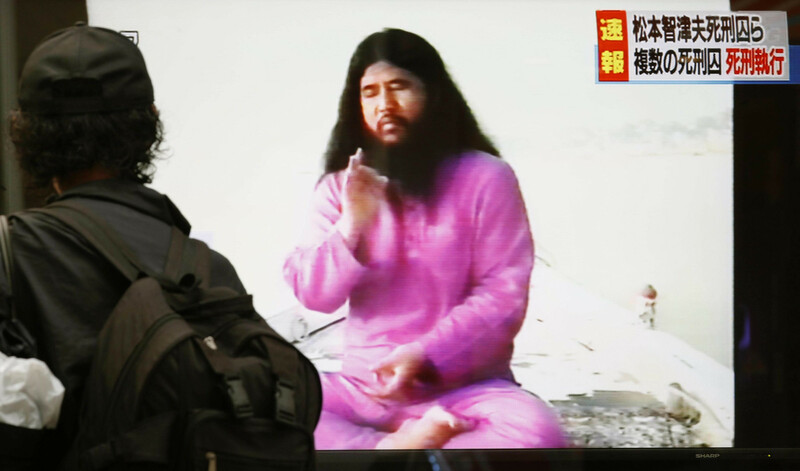 In response, Asahara, with his eyes closed, just mumbled words no one could understand, according to media reports. “I didn’t enter the priesthood (of Aum Shinrikyo) to produce sarin or choke someone’s neck,” Nakagawa tearfully said during the hearing. “Please explain your ideas to the people who believed in you,” Nakagawa recalled saying in vain. Nakagawa himself was on death row for the roles he played in the production of sarin gas and the 1989 murders of the Sakamoto family.